We reported in April that sb Reminder had been named by National Historic Ships as its Regional Flagship of the Year 2017 for East Anglia. Now Reminder has been presented with her broad pennant by National Historic Ships at Maldon. Just 7 Days to go! Don’t miss the Show! 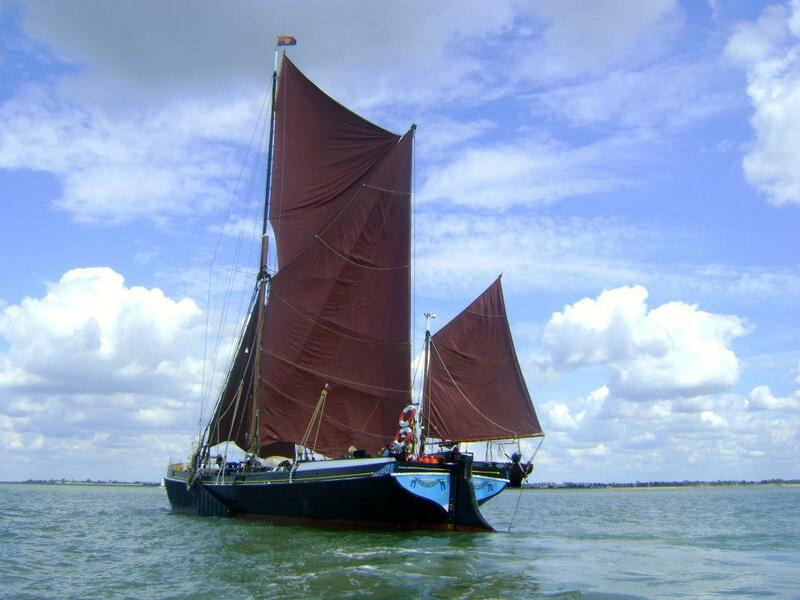 Just 7 days to go before The Thames Sailing Barge Trust and th e Society for Sailing Barge Research hold an Archive Thames Sailing Barge Film Evening on Saturday 11th March at Maldon Town Hall, Market Hill, Maldon. Some of the films will not have been shown before. 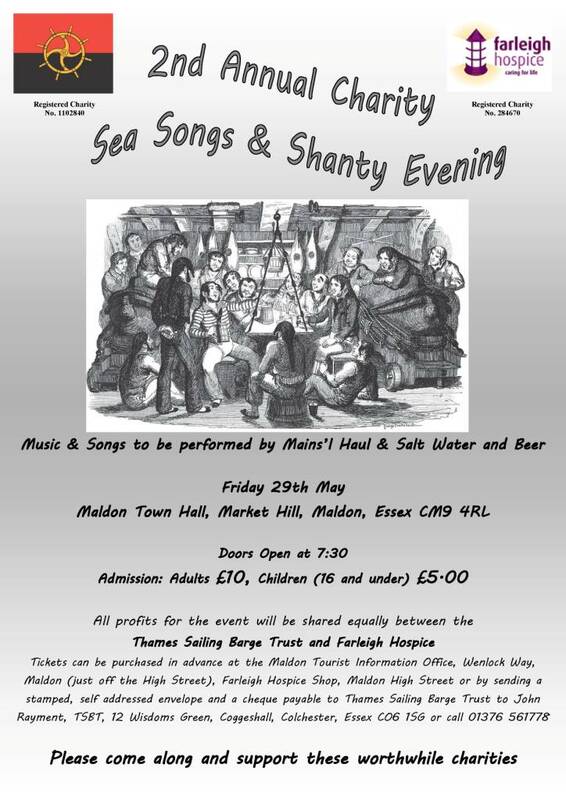 The event is to raise funds for the SSBR and Thames Sailing Barge Trust. Tickets are still available in advance and cost £7.00 per person. Or on the evening they can be purchased for £8.00. Doors open at 7:00 pm and the film show starts at 7:30 pm. There will be a real ale bar and teas and coffee. We will also hold a raffle. 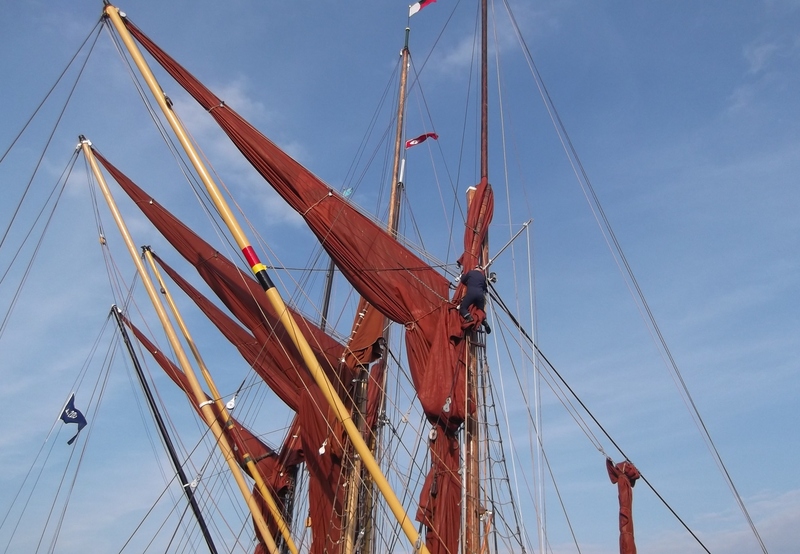 To obtain tickets visit the Maldon Tourist Information Office, Wenlock Way, Maldon, or they can be obtained by post by sending a cheque payable to Thames Sailing Barge Trust and a self addressed envelope to: John Rayment, 12 Wisdoms Green, Coggeshall, Colchester. Essex CO6 1SG. Postal applications need to arrive before the 7th March, so tickets can be returned. Not to be missed is the event coming soon organized by the Blackwater Sailing Barge Match Association. 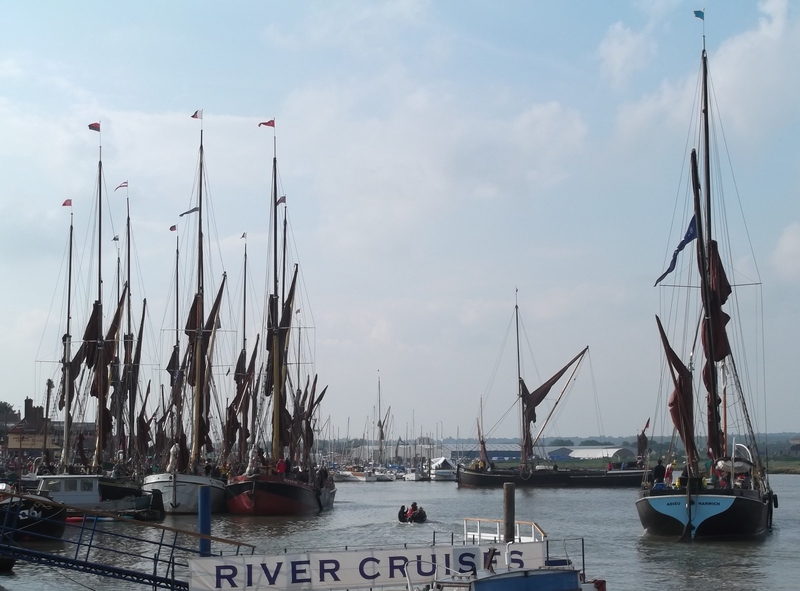 Called the Sailing Barge Show, it features a new talk by Jim Lawrence, one of the last surviving sailing barge skippers from the days of trade. There will also be a short film of the 2015 match, films from the Association’s archive and a model boat exhibition. What promises to be a very interesting evening will take place on Saturday 6th February, at 7.30 pm, at Maldon Town Hall. Tickets are £3 each, and there will be refreshments and a quiz in the interval. 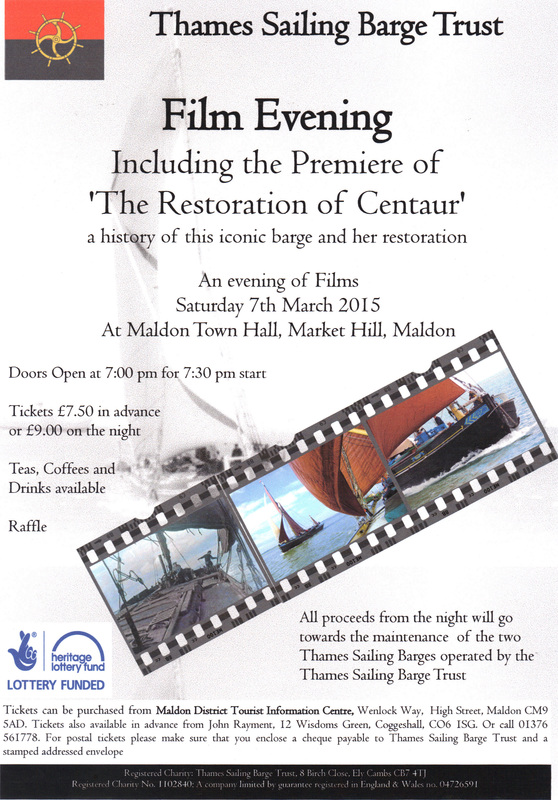 Great opportunity to see the film of the Restoration of Centaur, and support the Thames Sailing Barge Trust’s work of maintaining its two barges, Centaur and Pudge. Plenty of wind for the Blackwater Match on Saturday, and it attracted a good field in all classes. The Match was well advertised on the Quay and Promenade at Maldon, but it was disappointing that so few people were at either place for when the barges returned. Probably the time, the last one arrived at about 5.30pm, and the very cold wind by then put them off. Certainly, apart from The Barge Blog, there were only two people at the far end of the Promenade by the statue who knew what was happening. 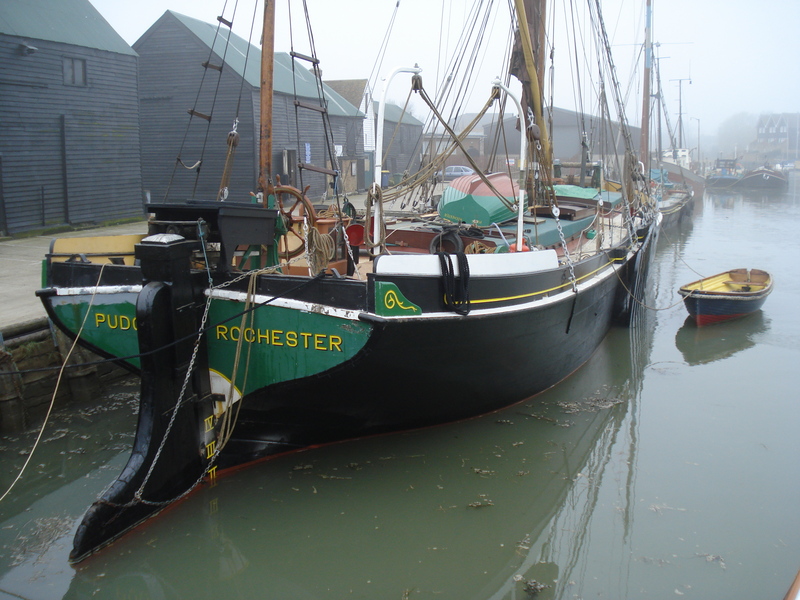 Here’s Hythe Quay as the barges returned afterwards, and some adjustment as Pudge is put away for the night. 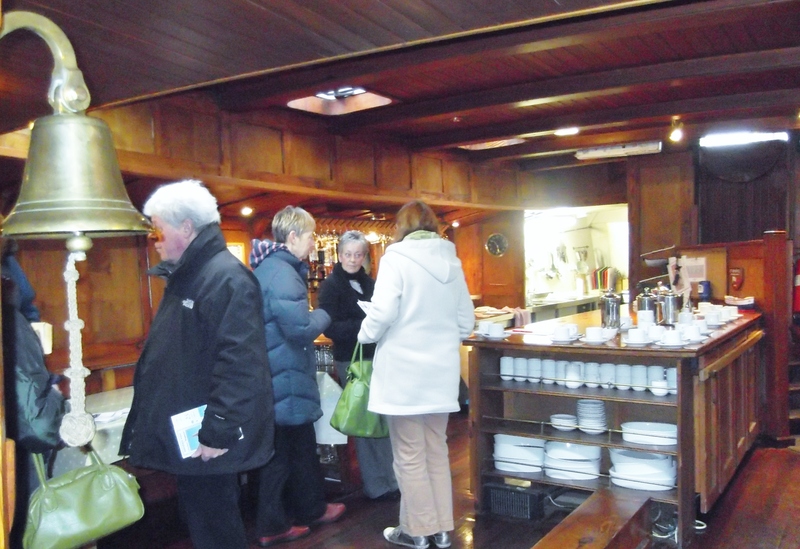 Click here for the Results, courtesy of the Sailing Barge Association. 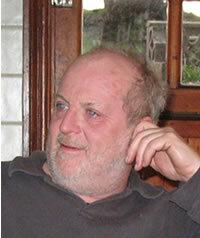 The sailing barge world was stunned by the recent news of the death at age 55 of Capt Mark Boyle, the organising secretary of the Thames Sailing Barge Match, since it was revived by him to celebrate the 50th anniversary of V.E. Day in 1995. Mark’s love of sailing barges was kindled by the gift of a model kit when he was a child. He built the model and was later taken to Maldon, Essex to see the real thing. To his disappointment he realised that his model was full of inaccuracies, and on returning home he set about putting it right! Mark was a gifted historian with a wealth of knowledge on subjects as diverse as sailing barges and the Spanish Peninsular War. He was also a talented author, writing articles for magazines about the sailing barges and his experiences afloat, having ‘gone to sea’ in his teens in the coasting trade aboard ex. ‘sailormen’ by then trading under power alone. Through later years he crewed aboard the charter and hospitality barges that plied the coast, gaining his Sailing Barge Master’s ticket in 1987. Not content with working aboard the last of the trading barges, Mark developed his shipwrighting skills which have left their mark on many of the genre. These include the Cabby, Dawn and, most recently, the magnificently restored Cambria to which he applied his talent and satisfied his barge preservation aspirations at the same time. 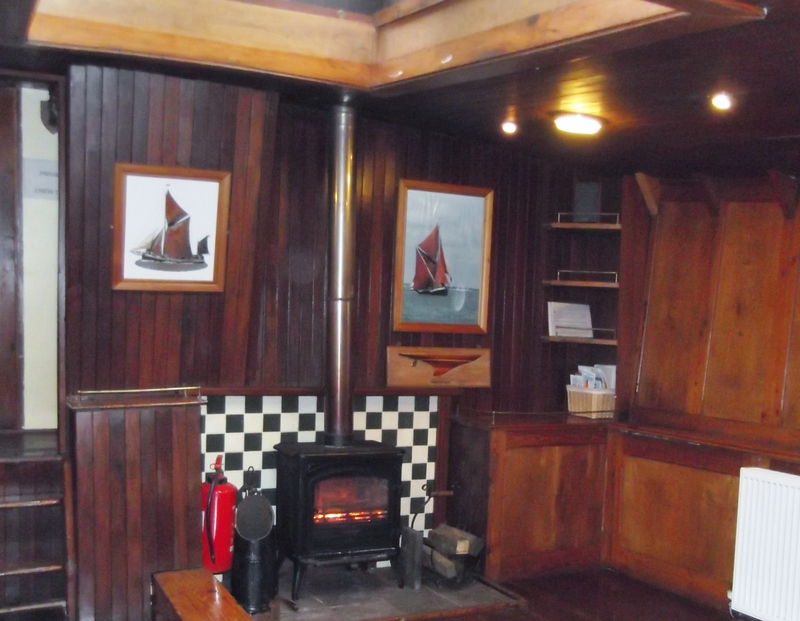 He recognised that for the restoration movement to have lasting relevance, it is equally important to preserve the environment of the sailing barge. Sadly, the wharves and bargeyards have fallen prey to much questionable re-development, but Mark realised the equal importance of the ‘on the water’ activities, and saw an opportunity to contest the Championship of the London River again through the conduit of a revived Thames Sailing Barge Match. The enormity of the task before him in restoring this, the original barge match, to its rightful place in the sailing barge calendar would have scuppered many a capable organiser. In the wake of the success of the 1995 race, there was an appetite for more. Mark sought out the families which had played their part 100 and more years ago, with the result that the iconic names of sailing barge owners Everard, Clarabut and Goldsmith became associated with the Match once again. The outcome of his effort and commitment is evidenced by the current series being the longest ever continuous revival of the race since its founding by Henry Dodd in 1863. The sailing barge fraternity has lost one of its stalwart supporters and his passing will have a significant impact in many ways. The Thames Match committee has met and decided to continue with the organising of this year’s event, the 150th anniversary of the first, which will take place on Saturday 13th July and be known as The Mark Boyle Memorial Thames Sailing Barge Match in honour of his vision and dedication to a sailing contest almost as old as the America’s Cup.